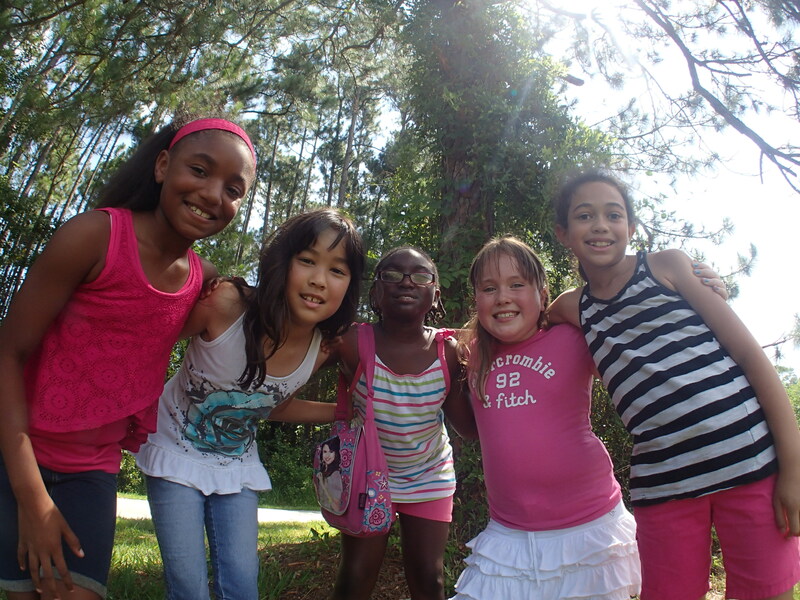 Jacksonville Science Festival (JSF) is excited to announce its 2019 Summer of Exploration & Arts Camp featuring six weeks of STEAM driven FUN! Jacksonville Science Festival is now well known for its STEAM (Science, Technology, Engineering, Arts, & Math) driven city-wide event featuring Jacksonville’s k-12 grade students partnering to creatively develop fun, interactive, educational projects they present to the community during the annual festival. 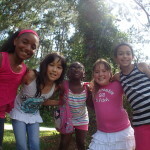 The Jacksonville Science Festival Exploration & ARTS Camp incorporates similar aspects but offers an ARTS focused thread including visual, performing, and environmental arts and weekly field trips for additional fun. The camp takes place at The Foundation Academy, a 23 acre campus including art, dance, and drama studios, organic gardens, an aquaponics farm, interactive sports, and more. 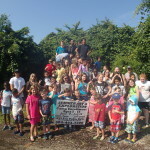 Camp is open to children ages 5-15 with age appropriate groups and activities. 3675 San Pablo Road South, Jacksonville 32224 or call 904-493-3535 for more information. *Due on the first Monday of each week. *DOESN’T INCLUDE: ICE CREAM TRUCK, T-SHIRTS, SOUVENIRS PURCHASED ON FIELD TRIPS, OTHER ADDITIONAL ADD ON EVENTS THE CAMP MAY DO. *Due on the first Monday of each week. *INCLUDES LUNCH AND FIELD TRIPS *DOESN’T INCLUDE: ICE CREAM TRUCK, T-SHIRTS, SOUVENIRS PURCHASED ON FIELD TRIPS, OTHER ADDITIONAL ADD ON EVENTS THE CAMP MAY DO. **Seats are available on a first come, first serve basis. **All documentation and registration fees must be submitted before a space will be reserved for Grant Qualifying Families. *Pending on weather patterns, dates and times of field trips are subject to change. Field trip fees are not included in the camp fee. Most field trips are on Wednesdays. We are closed July 4th, 2018. *Field Trips are subject to change. Most are on Wednesday, please note dates. 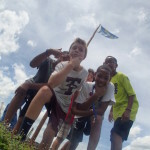 Camp is hosted on the The Foundation Academy 23 acre campus at 3675 San Pablo Road South, 32224. What should my camper bring each day? Yes, we also supply two snacks each day. Campers may bring extra food or a lunch if they have special dietary needs. What are the camper’s ages? Why does your camp focus on Science and Art? The Jacksonville Science Festival is a STEAM based organization. The mission of the Jacksonville Science Festival is to promote equity and justice in education. 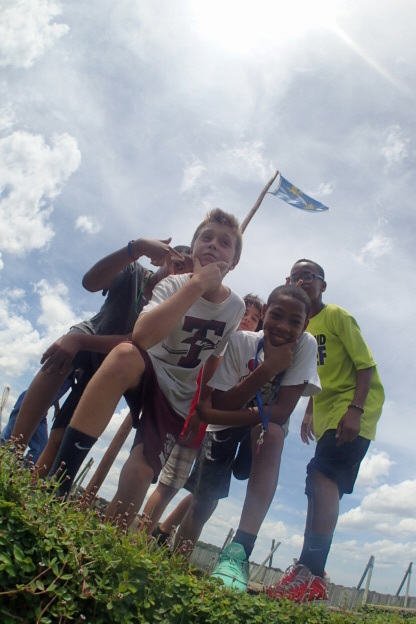 Therefore, campers will explore and create with science and art in a traditional setting with hands on activities. What’s the typical schedule entail? Yes, on Wednesdays. Depending on weather these are subject to change. Field Trip Transportation is for Staff and Campers only. Besides Science and Art what else will my camper experience? 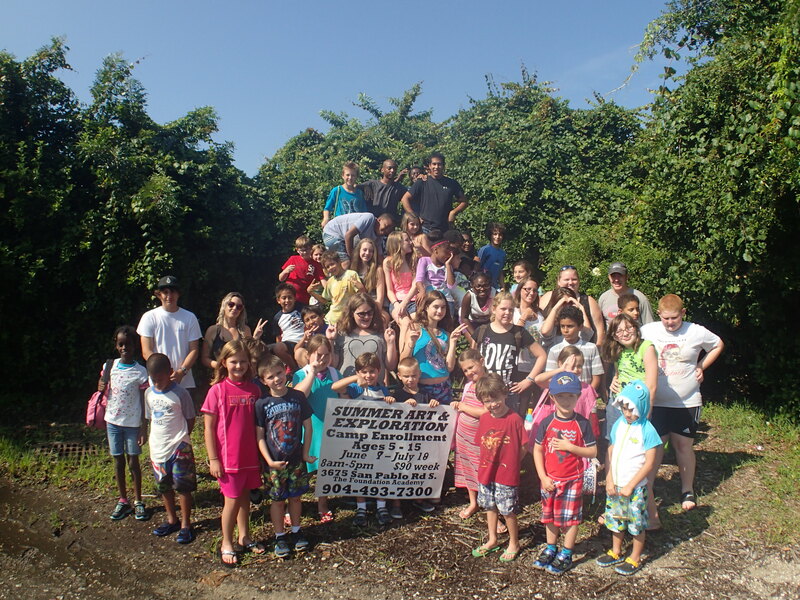 Outdoor activities, aquaponic organic farming and more at the 23 acre campus of the Foundation Academy. One counselor to fifteen campers; our trained CPR certified staff is ready to share the camp experience with your camper! What’s on the lunch menu? Acts of Violence Against Teachers or Campers or any Staff Members, includes fighting or ANY unsolicited physical contact. Verbal Abuse and/or Threats Against Teachers or Campers or any Staff Members. Vandalism – includes Academy property, Teachers or Campers or any Staff Member’s personal property. Leaving campus without permission: includes lunchtime, break, field trips, and any activities or camp activity that has not been cleared by parent and school administration. Camper(s) will be immediately suspended for a period, or immediate expulsion will be applied, as determined by administration. Parents will be notified and required to attend a meeting before camper is admitted back to school. incorporates similar aspects but offers an ARTS focused thread including visual, performing, and environmental arts and weekly field trips for additional fun.